Eliza Jane Davis was a 15-year-old teenager from the small coal mining town of Collie, located in Western Australia. 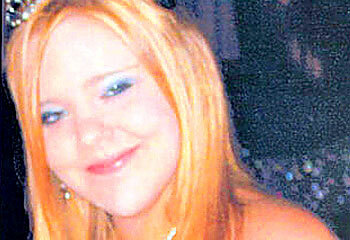 She was murdered by two of her ”best-friends” on June 18th, 2006, after going to a party with them the night before. It was reported that the trio took cannabis and methamphetamine at the party but not enough to affect their sense of right and wrong. On Saturday night, June 18th, 2006, the three of them left a party and walked home and fell asleep. When the two killers woke up, they decided to kill Eliza and plotted on what they were going to do. They were going to wait but one of the girls had to return to Perth that afternoon and wanted a quick, ”non-messy” killing. “Sunday morning me and (her) woke up, and we were just talking, and for some reason we just decided to kill her,” one of the girls would later tell police in an interview. The girls planned their attack and changed into old clothes. One of the girl’s snuck up behind Eliza as she was reading a book, wrapped speaker wire twice around her throat and quickly tightened it as the other held her down, trying to press a chemical soaked cloth into her mouth. “She started not being able to get her breath,and we just kept going,” one of the girls said. She begged her the people she thought were her ”friends” to stop but her plea’s fell on deaf ears. The girl’s buried her in a shallow grave under her home and reported her missing. They acted as if nothing happened, even going as far as to help Eliza’s loved ones search for her. They both turned themselves in several days later, walking into separate police stations and directing authorities to where they buried Eliza’s body. They were both interviewed and arrested. It isn’t really clear as to what made them turn themselves in. “As our friend, we did not really want her to suffer,” one told police. Both of them did however, regret the fuss that the killing brought, but didn’t regret murdering their ”friend” nor did they feel any remorse. “If she had died another way it probably would have bothered me, but it just did not,” one girl said. Friends Of Eliza Console Each Other At Funeral Service. The two teen’s appeared in Perth Children’s Court and again showed zero remorse. They were sentenced to serve a minimum of fifteen years to life. In 2008 both were moved to an adult prison and are currently serving their sentence for the cruel murder of their friend. 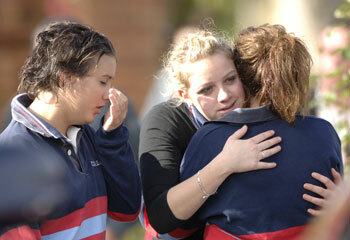 ”Name my girl’s killers.” Emotional Plea from Father of murdered School-girl.